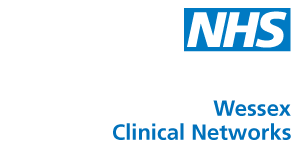 The Wessex Clinical Networks work in partnership with commissioners, supporting their decision making and strategic planning, by working across the boundaries of commissioner, provider and voluntary organisations as a vehicle for improvement for patients, carers and the public. Wessex covers a population of 2.8 million people, including the urban and rural areas of Dorset, Bournemouth, Poole, Southampton, Hampshire, Portsmouth and the Isle of Wight. Across Wessex there are nine Clinical Commissioning Groups (CCGs), seven Local Authorities, seventeen District Councils, six Health and Wellbeing Boards, five Health Watch organisations, seven acute hospitals and two Local Resilience Forums. Find out more about the Wessex Clinical Networks at www.wessexscn.nhs.uk or contact them by email at england.wessexscn@nhs.net. Support commissioners to improve the understanding of disease specific critical events which may result in unscheduled care and a delayed discharge from hospital. This will support the improved management of critical events. Support commissioners to improve diagnosis – including early diagnosis – of dementia throughout the care pathway and across health and social care. This will support the development of a unified care pathway for dementia assessment, diagnosis and management. Ensure that post diagnostic care for patients with a Mental Health, Dementia or Neurological Condition diagnosis is based on their level of need. This will support the identification of best practice within this field and sharing these models across Wessex to improve services. Improve availability of high quality, standardised information held in one central place, providing easy access. This will support the enablement of people to feel informed and empowered about their condition. Work in partnership with the Cardiovascular Disease (CVD) SCN on an agreed piece of work to standardise the provision and equity of rehabilitation services across Wessex. This will support all patients, regardless of their condition, have the appropriate rehabilitation to meet their individual needs. Lucy was previously the Associate Director for End of Life Care at NHS South of England. Within this role she reviewed the needs of people with neurological conditions and has worked closely with the long term conditions lead. Prior to this, she was the Director of Policy Development at the National Council for Palliative Care and established a Neurological Conditions Policy Group. She has written many publications and training tools, helping to develop a nationally recognised end of life care pathway for people with neurological conditions, the National Service Framework for Long Term Neurological Conditions and the End of Life Care Strategy. Chris is a Consultant Neurologist with subspecialty interest in behavioural neurology and cognitive disorders. He has worked for University Hospital Southampton since 2007, and leads the Cognitive Disorders service. He is the clinical lead for Neurology at Hampshire Hospitals Foundation Trust, regional DeNDRoN (Dementias and Neurodegenerative Disease Research Network), and Huntington’s disease, Specialty Group lead for Nervous System Disorders for Hampshire & Isle of Wight CCRN and a theme lead in the Wessex NIHR-CLAHRC. He is an Honorary Clinical Senior Lecturer at the University of Sydney, and is the principal investigator for a number of clinically-based research studies in Huntington’s disease and dementia. He has a particular interest in improving processes to support clinical excellence.